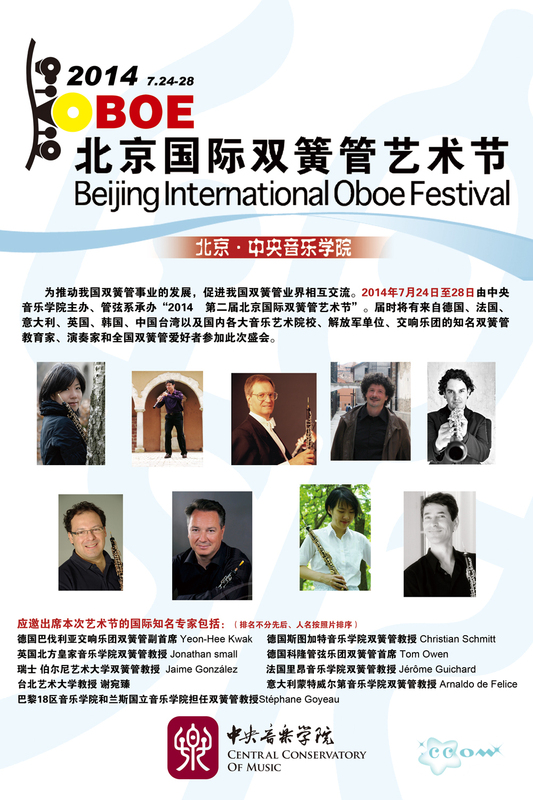 We are pleased to support the second edition of the Beijing International Oboe Festival that will take place at the Central Conservatory of Music from July 24th to July 28th, 2014. 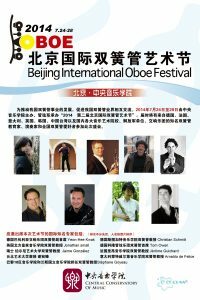 One of the highlights of the Festival will be the concert of Mr. Stéphane Goyeau (France) at 6.00pm on July 26th, and his Masterclass from 9.00am-12pm on July 27th. You will also be able to come try our instruments that will be exhibited throughout the duration of the Festival.